■ NFPA, CPSC, HHS and Medicine allows for millions of Carbon Monoxide poisonings in their diagnostic deficiencies and failures! ■ Hurricane Sandy victims or survivors are at highest for "CO" etc, poisoning risks, right now! A common natural disaster aftermath Poisoning problem, disclosed here, which was experienced by Hurricane Katrina's disrupted, displaced, injury and mortality victims and survivors, is now your critical and prevalent risk in the aftermath of your own Hurricane "Sandy" devastation! As you will see in this website, which was initiated early in 2008, millions of others (even without Katrina) of our most humble members in America's society, have been and are currently affected by this same poisoning risk which you are potential now subjected to as well. -- instead of the common practice of just performing an environmental air quality or breathing air (safety) test with the "Eagle" tester or equivalent atmospheric testers, which are subject to inconsistencies of the spatial environments, fickle (variable) air currents and the often sporadic nature of the Carbon Monoxide production itself at its (often combustion-efficiency compromised or damaged) source! Without the reliable blood (Carboxyhemoglobin) test, Carbon Monoxide poisonings (Formaldehyde, NOX and the other combustion VOC's poisons normally accompanying Carbon Monoxide) will be misdiagnosed, overlooked or ignored! The victim will then be improperly treated (even though in clean air or given oxygen for a period they will appear to get better), then be allowed back to the initial poisoning space to potentially experience (if) uncorrected, additional, subsequent or continued poisoning risk, possibly permanent injury or death! -- then as a consequence (of that initial diagnostic failure), performing wrong on-site treatment, transport, follow-up and reporting! Or worse returning a victim to further exposure! The deficiency in your NFPA ,CPSC, HHS, etc, CO Response Guidelines and Medicines "Best Practices" Diagnostic protocols, is the laxity, dereliction and/or "Doctors' Order requirement" impediment to the immediate performance of the simple, (actually very) inexpensive. non-invasive, painless fingertip-clip applied light-spectrometer -- "Pulse Carboximeter/Oximeter" evaluation, which is available in (built into) almost all recently manufactured POms or specifically the "Rad-57" PCO/Om units for Carboxyhemoglobin testing! Most all Fire Fighter units now carry RAD-57 PCO/Om testers. Or if the Rad-57 or equivelent tester is not available, do an immediate blood draw, capture and seal, for a lab's CO evaluation as soon as possible. Immediately treat (with oxygen) and/or transport (for hyperbaric O2) when indicated or if reasonably suspected! To Hurricane Sandy Victims, or Associates of Victims! The core failure is in First Responder guidelines and diagnostic protocols!!! 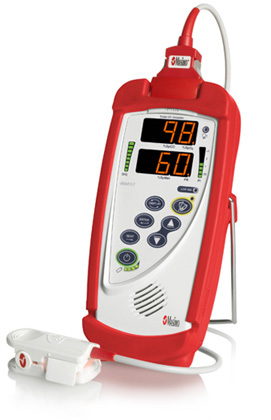 -- You must demand immediate Carbon Monoxide testing of your own or suspected victim's blood for values of "Carboxyhemoglobin" (blood saturation levels evaluation for Carbon Monoxide) with a "Rad-57" finger-clip sensor or equivalent blood saturation testing method! -- then if positive, immediate Oxygen, or if severely poisoned, Hyperbaric Treatment! ■ See our 5¢ self-fix-it suggestion for the imediate prevention in Mfd housing. -- Note: New Formaldehyde is always created (along with Carbon Monoxide, etc) and absorbed from all flame type cooking, baking and heater fumes venting inside. Hood fans which vent to the outside should be operating when any interior gas fired cook top or oven is being used. Infants, toddlers, expectant mothers, should never be allowed to remain in a kitchen or any inside area where a gas cook top, oven, or unvented (flame type) heater is in operation! Fetuses (in-utero), infants and toddlers have died at exposures less than 1 tenth of that safely tolerated by clinically healthy adults! -- which is affecting far more of us in the USA, than just those in the specific living situations or disaster events I have indicated above! The problem lays in the Washington DC's created First Responder guidelines and Medical diagnostic protocols which allow it to happen without being identified!!! -- So you or any potential poisoning victim or an advocate for a poisoning victim must assertively demand immediate Carbon Monoxide testing of their blood; specifically the "Carboxyhemoglobin", (SpCO) blood saturation levels evaluation for Carbon Monoxide, which is easily, painlessly, and in reality, cheaply done using the "child and adult friendly", non-invasive "Rad-57"s finger-clip sensor! -- The alternative method is by doing a common blood draw, then lab analysis as timely as possible, including conserving enough blood in the draw sample for further analysis or evidence later. -- Knowing the Blood Saturation "Carboxyhemoglobin" levels is vital to correct diagnoses and treatment, to prevent further injury and death. Do not suffer the same insult, injuries and deaths the Katrina FEMA trailer or HUD housing placements did, and still do! As your time allows, see the rest of these pages and links in this site! All manufactured or mobile homes are in violation for CO, if newer than 1976 and heated with gas, propane, oil wood or coal. (Electric heated units should be OK for CO). Hurricane Katrina’s victims and survivors suffered a common natural disaster poisoning problem that is now a prevalent critical poisoning risk for you in the aftermath and devastation of Superstorm Sandy! As storm devastation victims and survivors attempt to warm themselves, boil water (for safer drinking and hygiene) or cook, in crude and inappropriate combustion situations, they can easily cause subtle to serious toxins asphyxiation injuries to themselves, or to other individuals in the same breathing space. The critical toxin of course, is Carbon Monoxide (CO), but it is always accompanied by Formaldehyde (H2CO—Carbon Monoxide’s combustion-created “wet” cousin), NOx and the other toxic VOCs* created in natural combustion. This same combustion poisoning experience needlessly affects millions of others in the U.S. because of our current misplaced Bureaucratic, Regulatory, and Medical trust, coupled with our public complacency and our (deliberately) deficient education! But with some simple understanding, awareness and common sense, most all of these combustion created poisoning injuries and deaths are preventable! — But once a poisoning has occurred, to radically reduce repeated injury or consequent death, First Responders, Fire Fighters, Paramedics, and Medical Providers need to immediately perform the now broadly available non invasive light beam analysis, blood, that is, “serum” saturation test for Carbon Monoxide -- instead of only doing the “traditionalized” (common) practice of performing environmental air quality (breathing air safety) testing with an “Eagle” or equivalent (breathing air) atmospheric type tester to implicate or deduce a human poisoning or not. Atmospheric (breathing air) testing alone is not reliable enough to determine if someone has been poisoned or not. It is subject to the inconsistencies of the environment itself, fickle air currents and the sporadic nature of any crudely facilitated combustion source (the fire or smoldering embers) itself. Without the reliable blood (Carboxyhemoglobin) test, Carbon Monoxide (with it associated other combustion toxins) can easily be misdiagnosed, overlooked, or ignored. A wrong “diagnoses” also easily occurs even in a seriously poisoned individual who has been moved into clean air (and/or given oxygen before being actually tested), as he will outwardly appear recovered (even though his blood CO is clearing – neurological, brain. and other vital deep tissue poisoning is quietly progressing with the previously inhaled, interstitially transported, deep tissues delivered, and already acting intracellularly). So without quick, affirmative blood saturation levels testing, the victim may unwittingly return or be returned to the initial poisoning space or situation, without knowledge or correction, to experience further poisoning injury, even death! As the primary combustion toxin of concern, Carbon Monoxide, thankfully also has the easiest-to-identify blood-“color”-signature, so serves as the “flag” (visible marker) certifying the presence of the other, not so easy to identify, toxins of Formaldehyde, NOx and combustion VOCs* (*volatile organic compounds), equally deadly and always present with it! To First Responders and Medical Providers: There are serious, sometimes deadly, deficiencies in your first-responder guidelines and medical diagnostic protocols (since the mid-70s); specifically in the “response to caller” instructions, as well as, once on site, your spatial versus victim testing and evaluation, on-site treatment and/or transport, and follow-up treatment and reporting all is “Washington DC” flawed. Instead the best advice to give before you arrive: “Get the victim out, do not change anything else.” Have victim’s associates leave everything else exactly as it was (for your tests). Most Fire Fighter units now carry portable RAD-57 PCO/Om light spectrophotometer based testers, which have built-in capacity to immediately and simply perform an inexpensive, non-invasive, painless finger tip clip-applied light-spectrophotometer “Pulse Oximeter/Carboximeter” evaluation. However, protocols often have a “Doctors’ Order Requirement” impediment to performing this test immediately—despite the fact that this test does not even prick the skin. It uses a harmless beam of light! If this type of tester is not available, your option is doing an immediate blood draw/capture for a lab’s CO evaluation, while immediately treating with oxygen and/or transport (for hyperbaric O2) when indicated or even just suspected. So, to Hurricane Sandy Victims and their Associates: To have a sure diagnoses and proper treatment in possible combustion fumes poisoning events you must demand immediate Carbon Monoxide testing of your own or victims blood for its “Carboxyhemoglobin” (blood saturation) levels evaluation of Carbon Monoxide, and if positive, demand immediate oxygen (by mask), or when serious, hyperbaric treatment. 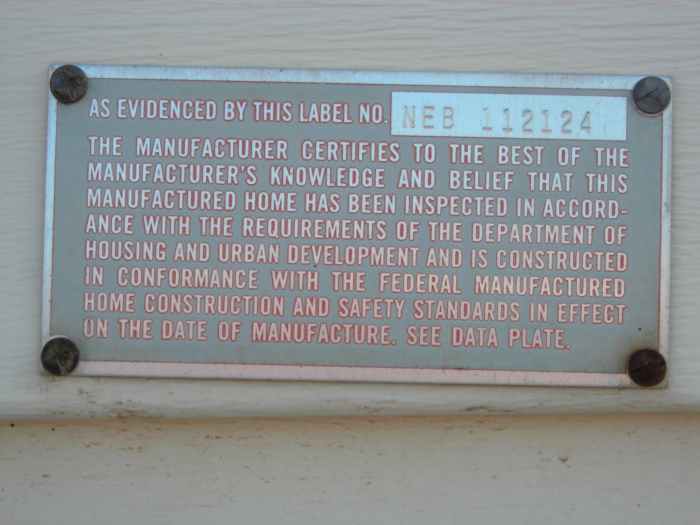 If FEMA brings their trailers or HUD’s manufactured homes (any model) to house you: Make sure you are informed through the GAO Report (and CDC-HHS-HUD’s admission) at LicenseToKill.us, then ToxicTrailers.com to avoid the injuries and deaths associated with those Katrina FEMA trailer or HUD housing placements. Be sure you see the U.S. Government Accountability Office (GAO) Investigation Report (and CDC’s admission of deadly code violations of HUD and FEMA). From toxictrailers.com: The government spent >$2 billion on FEMA trailers with hazardous levels of formaldehyde, and now has dumped more than 103,000 former FEMA trailers known to be toxic on the market. . . . The FEMA trailer tragedy exposed what is a widespread problem in RVs, mobile homes, modular buildings and even conventional buildings. Symptoms that could indicate a formaldehyde problem include having burning eyes, congestion, sore throat, coughing, breathing difficulties, frequent sinus infections or rashes, and difficulties concentrating. FEMA spends millions on no bid contracts [for low-quality] emergency housing trailers [that] are no longer tested for formaldehyde. . . . Hurricane Sandy victims want to know if these are safe—probably not, knowing FEMA. FEMA [said that] they dropped formaldehyde testing because the same types of mobile homes are for sale all over the U.S. [However,] these are specially ordered by FEMA. . . . Despite Gadwill’s recommendation that TL Industries quality “just wouldn’t be acceptable to the private sector and shouldn’t be accepted by the government,” FEMA continued doing business with the firm. The material above has been collected by Occupy Sandy New Jersey from http://LicenseToKill.us and http://ToxicTrailers.com. Further details are available at those sites and in the GAO report, which may be found at http://gao.gov/products/GAO-13-52. Materials edited for length. ■ Another Case of subtle Carbon Monoxide Poisoning! -- But this time its in a "Prestigious" Apartment Complex! -- Could your apartment or home in the aftermath of Hurricane Sandy be doing the same to you or your family?